As a parent of teenagers, I worry about this topic a lot. The new series of papers includes a look at childhood screen use and ADHD, the effects of media multitasking on attention, and the link between violent video games and aggression. The separate papers are a good reminder that these are really separate issues; even if screen time ends up being problematic in one area, it doesn’t mean it can’t have a positive effect in another. Nothing’s ever straightfoward, is it? Like its conclusion, for instance. Others have firmly made up their minds, however. For longtime tech leaders, watching how the tools they built affect their children has felt like a reckoning on their life and work. Among those is Chris Anderson, the former editor of Wired and now the chief executive of a robotics and drone company. He is also the founder of GeekDad.com. “On the scale between candy and crack cocaine, it’s closer to crack cocaine,” Mr. Anderson said of screens. Author Terry MadeleyPosted on 5 November, 2018 23 January, 2019 Categories Technology and the webTags children, gadgets, parenting, social media, technology2 Comments on Are we doing the right thing? Or perhaps you’re looking for something for the office? Or how about something more … Halloweeny? Distractions are all around us, whether it’s ambient noise or the colorful items around you, and it’s sometimes extremely difficult to concentrate on the task you need to finish. A 1920’s anti-distraction helmet, known as the Isolator, was invented to address this issue. Technologies just change, rather than advance, I think. For all their supposed progression, the level of accompanying frustration seems pretty constant. Too much screen time, or too many screens? New research has been published on how teenagers and parents feel about the amount of time they’re on their devices. It’s not just a problem for the teenagers, though. Of course, it wasn’t always like this. Long before phone addiction panic gripped the masses and before screen time became a facet of our wellness and digital detoxes, there was one good and wise piece of technology that served our families. Maybe it was in the family room or in the kitchen. It could have been a Mac or PC. Chances are it had a totally mesmerizing screensaver. It was the shared family desktop. A very interesting account of what it was like to be a child in the 90s, when all this first started. At the time, bringing a single computer into the home was a harbinger of progress that many didn’t feel ready for. Thirty years later, the idea of having only one shared device with internet access might as well be primordial. How did that work, exactly? Well, it wasn’t completely without its challenges. Mapping out uninterrupted computer time was maddeningly tricky, and privacy was basically nonexistent. You risked parental fury if a virus shut the computer down because of a visit to a risky site. Space on the hard drive was at a premium, and the computer chair was inevitably among the most uncomfortable seats in the house. Having such a valuable resource with finite availability and keeping it in a communal space required cooperation and compromise from everyone involved. As much as we might like, we can’t go back to those times. Though there are signs that things might change. Author Terry MadeleyPosted on 30 August, 2018 23 January, 2019 Categories Technology and the webTags children, gadgets, parenting, technologyLeave a comment on Too much screen time, or too many screens? It’s long been understood that all these screens are changing how we’re interacting with each other. But are parents over-reacting a little? By their pinched reactions, these parents illuminated for me the neurosis of our age: as technology becomes ubiquitous in our lives, American parents are becoming more, not less, wary of what it might be doing to their children. … On the one hand, parents want their children to swim expertly in the digital stream that they will have to navigate all their lives; on the other hand, they fear that too much digital media, too early, will sink them. Parents end up treating tablets like precision surgical instruments, gadgets that might perform miracles for their child’s IQ and help him win some nifty robotics competition—but only if they are used just so. Otherwise, their child could end up one of those sad, pale creatures who can’t make eye contact and has an avatar for a girlfriend. Are we just biased, wanting to go back to the good old pre-screen days? Or are we, in fact, the problem? Yet for all the talk about children’s screen time, surprisingly little attention is paid to screen use by parents themselves, who now suffer from what the technology expert Linda Stone more than 20 years ago called “continuous partial attention.” This condition is harming not just us, as Stone has argued; it is harming our children. The new parental-interaction style can interrupt an ancient emotional cueing system, whose hallmark is responsive communication, the basis of most human learning. But if our children enjoy playing video games, that’s not a problem, right? So it is a problem, then? Researchers say World Health Organisation’s warnings over ‘gaming disorder’ are premature and say other factors affect child wellbeing. I’m glad that’s cleared up. It’s not like this is a formative time in our children’s lives or anything. The mood swings and stress you experience as you go through puberty can shape your brain to determine the person you will become. Where did this all start, I wonder. What was it that first tricked us into staring at screens all day? How many times has that been said these days? Year after year, the Consumer Electronics Show (CES) brings us countless new products. A few are splendid. A majority of them simply don’t matter. And a few–a truly horrible few–are terrible wastes of basic human potential that both our ancestors and descendants would be hugely embarrassed by. This voice- and gesture-controlled smart mirror, shower, bathtub, faucet, and, most of all, toilet promise to not just make your life better, but flood your psyche with nonstop waves of ecstasy from the moment the plumber tightens the final bolt on your porcelain throne. Something very fitting about reading this article on an iPhone. 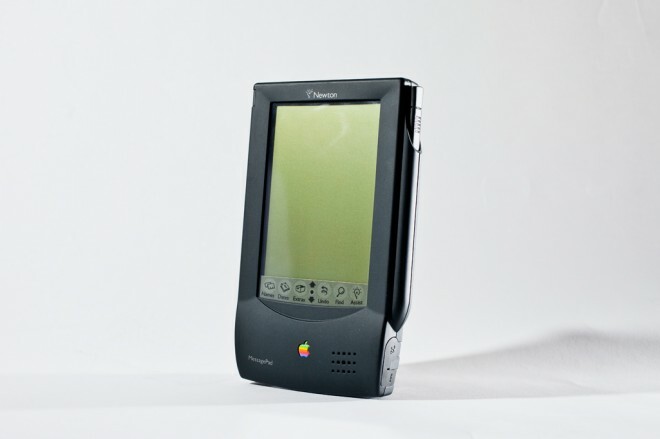 I’ve got an old Handspring Visor PDA and an HP one knocking around somewhere at home – both long since dead though I can’t bring myself to throw them out – but I’ve never had a Newton. Perhaps a trip to eBay is in order. I really need to ween myself off these must-have-app list articles. Listicles! They’re feeling more and more irrelevant. Perhaps not so much irrelevant as- just unimportant. To me, anyway. This looks great. I love the idea of a tripod hiding in plain sight like that. Almost tempted to get my iPhone out again and give this a go.